One of the highlights of the updated Collecting Contemporary exhibition is the inclusion of three important works by contemporary New Zealand artist Jim Allen (born 1922). The three works – Small worlds, Tribute to Hone Tuwhare, and Space plane, environment no. 1 – were originally made for an exhibition at the Barry Lett Gallery, Auckland, in June 1969. This gallery was a hotbed of activity at the time: host to experimental art projects, poetry readings, and much besides. Jim Allen’s 1969 exhibition Small Worlds: 5 Environmental Structures transformed the entire space into an immersive installation. 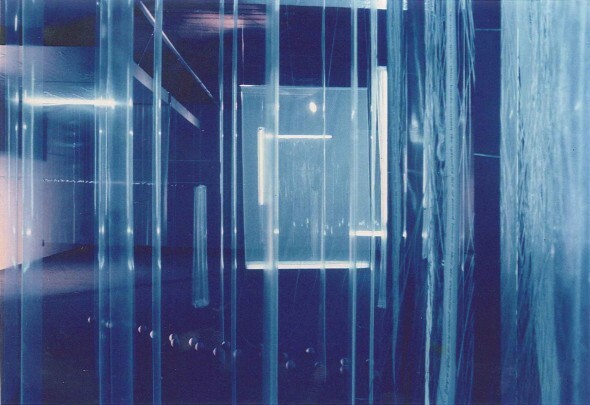 While there were discrete works in the show, the overall intention was to creating a total, multi-sensory experience. Visitors to the exhibition were encouraged to walk through the works – to look, touch, listen, and read. 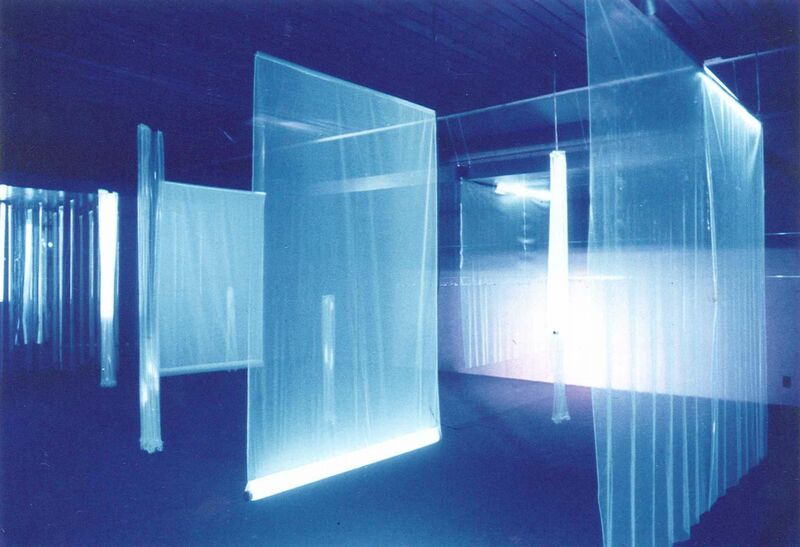 Archival photo showing the 1969 'Small Worlds: 5 Environmental Structures' exhibition at Barry Lett Gallery, Auckland. Photo courtesy of Jim Allen. At the end of the 1969 exhibition, the works were dismantled and the various parts were destroyed. 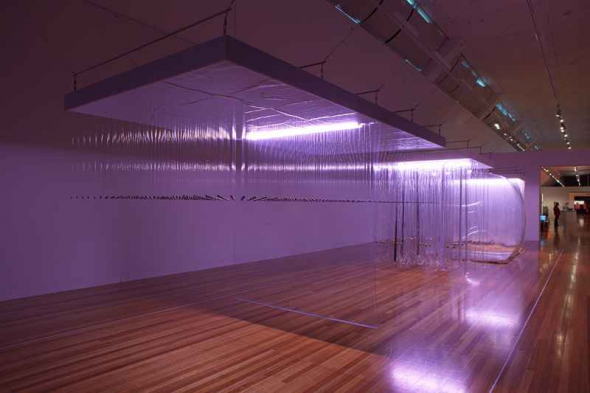 The exhibition has since come to assume an almost legendary status in the history of contemporary art practice in New Zealand. However, it escaped wider public recognition until Jim Allen made the decision to reconstruct the works in 2010. The reconstructed works were shown in the exhibition Small Worlds at the commercial gallery Michael Lett (no relation to Barry), and in the Points of Contact exhibition organised by the Govett-Brewster Art Gallery in New Plymouth and the Adam Art Gallery in Wellington. In 2011, Te Papa acquired the full suite of works for its collection. Collecting Contemporary is our first opportunity to put the works on public display. On show now: The three works on display in the 'Collecting Contemporary' exhibition at Te Papa, March 2012. Photo: Michael Hall, Te Papa. 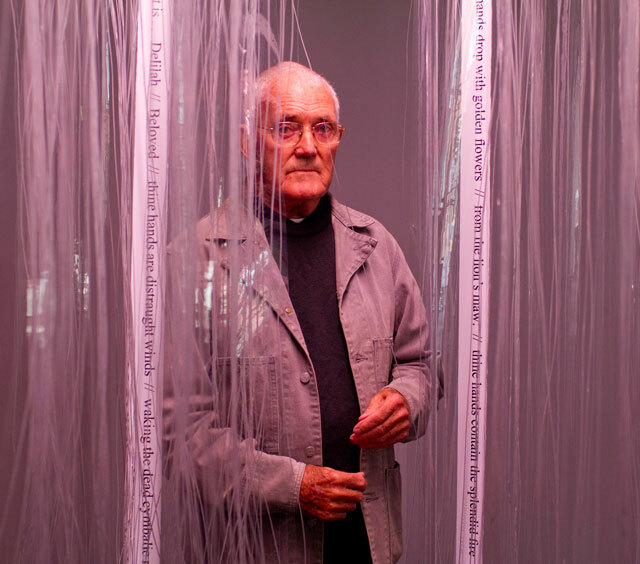 I could write many blogs about Jim Allen’s works (and, indeed, perhaps I will), but for now, I want to draw your attention to this video interview that Te Papa made with the artist, in which he discusses his original intention for the work. Also worth checking out is a separate video in which Jim reads aloud the poem ‘Thine own hands have fashioned’ by New Zealand poet Hone Tuwhare (1922–2008). This poem features in Jim’s work Tribute to Hone Tuwhare. I’d like to thank the estate of Hone Tuwhare for permission to use the poem in this video. I was delighted to attend the opening of Jim’s exhibition and to here his interview online as I was not able to view the video on the night. It was a great experience seeing it installed and to join other family in support.